What’s a party without a pinata in it? 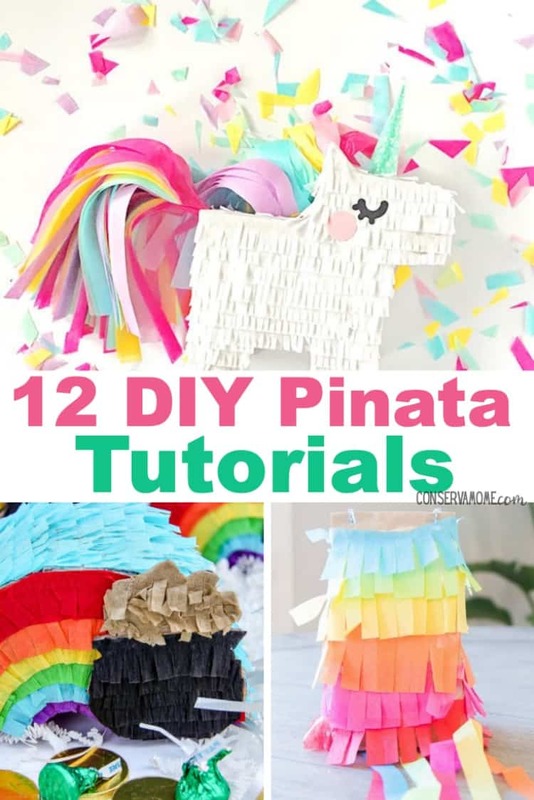 That’s why I’ve search my favorite blogs for a fun round up of 12 DIY Pinata Tutorials. So read on to check out this fun round up of creative Pinata tutorials for your next event! A party isn’t a party without a pinata! They are so much fun to attempt to open, and no matter how old you get, you still get a little thrill as you see all of the fun treats spilling out! But, have you ever priced pinatas at the store? They are kinda pricey, even for the smallest options and nearly all that I have seen need to be filled after purchase. I started browsing around some of my favorite blogs and I found 12 Pinatas for Your Party that are totally diy-able! 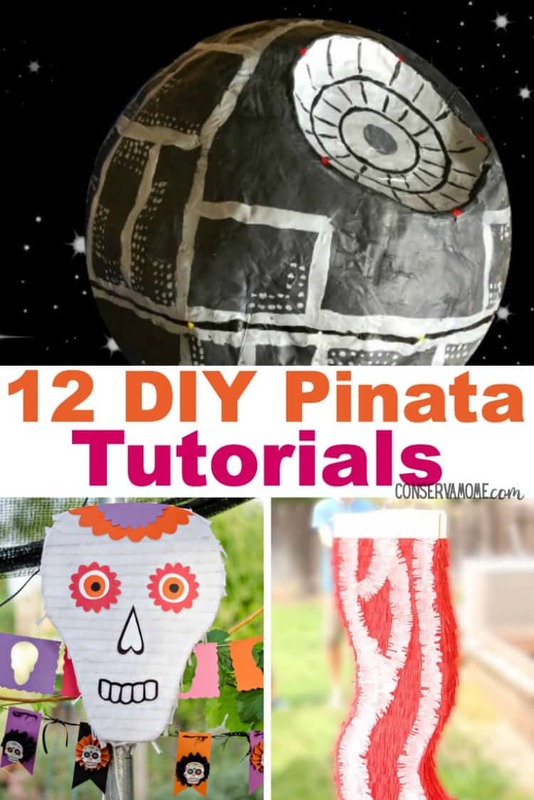 So check out this fun round up of Pinata tutorials! I can’t decide which of these 12 Pinatas for Your Party are the cutest. The Rainbow Pull String Pinata would be really fun for smaller kids. I know a few boys would would love the bacon or Death Star pinatas. Or need something quick than you can do yourself? 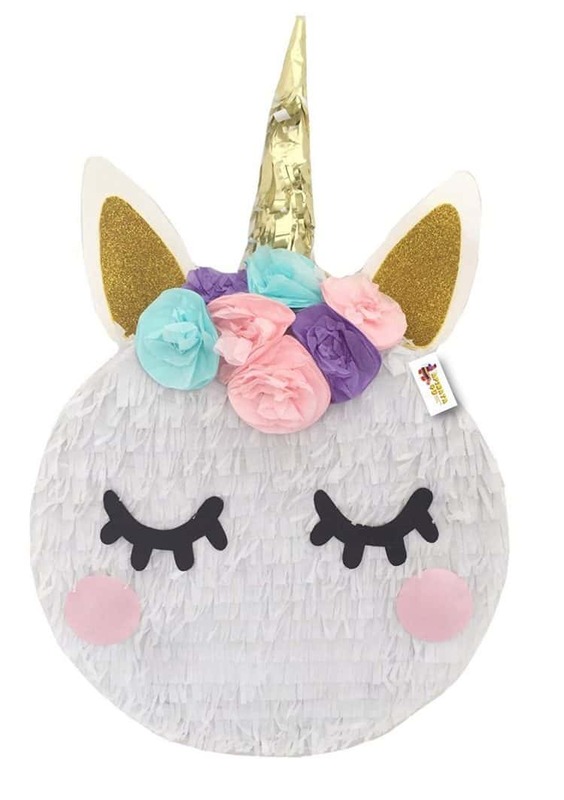 Check out this fun unicorn pinata that would be the dream of any little girl! Are you in the mood for a party now? You won’t want to miss these 15 Dr. Who delicacies that are perfect for a viewing party! I also have a ton of creative ideas to help you have an affordable kids party that help you stay on budget! Have you ever made a pinata for one of your kids birthday parties? I would love to hear any tips or tricks you can share in a comment!